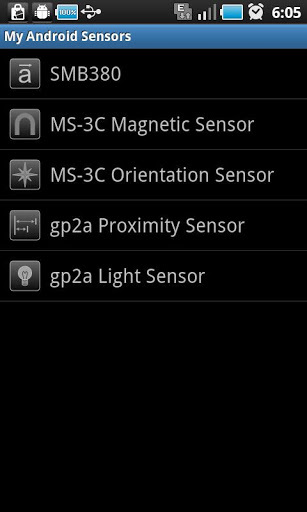 This small app allows you to view the list of your phone hardware sensors and also view sensor detail e.g. type, vendor e.t.c. and it's current values. 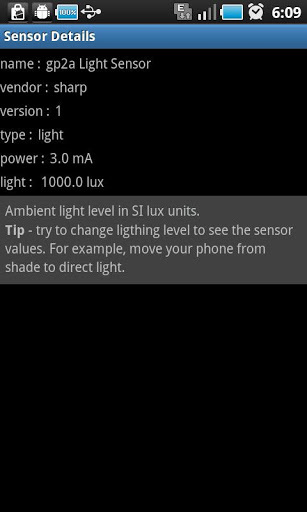 Click on sensor icon to view deatils. Link to application on Google Play. Any bugs or comments? Fill free to mail me ( support-at-bytehangar.com ).